Parents, alumni, and educators have long seen Churchill as the leader in learning disability education, but as local and national competitors expanded their reach, the school needed to solidify its place in the market. 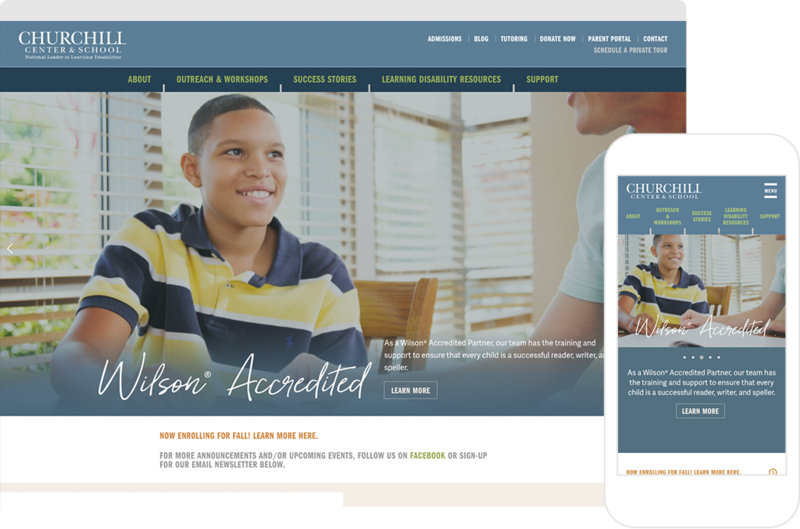 TOKY reframed the school’s public messaging and designed a resource-rich website with meaningful content to help Churchill connect with families who struggle with learning issues. To gain a deeper understanding of the school’s impact and approach, TOKY conducted interviews with leadership, faculty, parents, and alumni. These findings, paired with in-depth competitive research, led to new messaging that clarifies Churchill’s key differentiators: their unique, research-based curriculum, highly trained faculty, and an emphasis on empowering students. 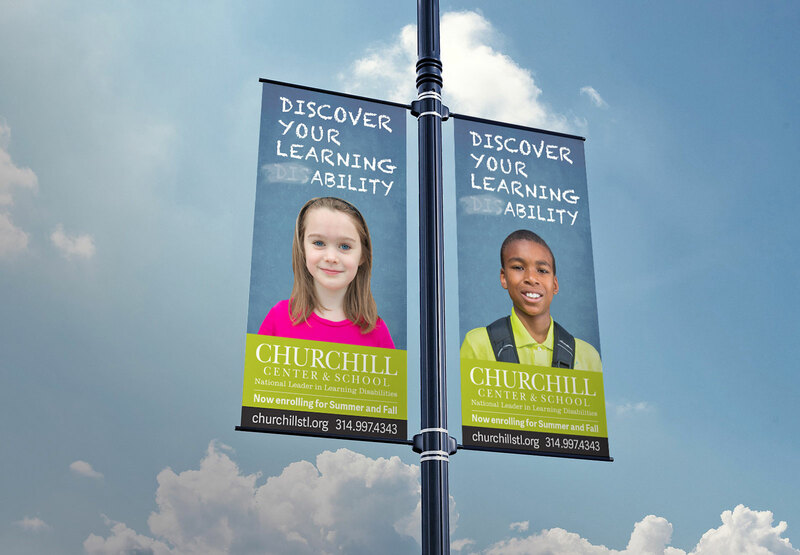 Building on Churchill’s new brand language, TOKY created a series of print and digital advertisements that highlight the tools and confidence students gain through a research-based learning disability education. 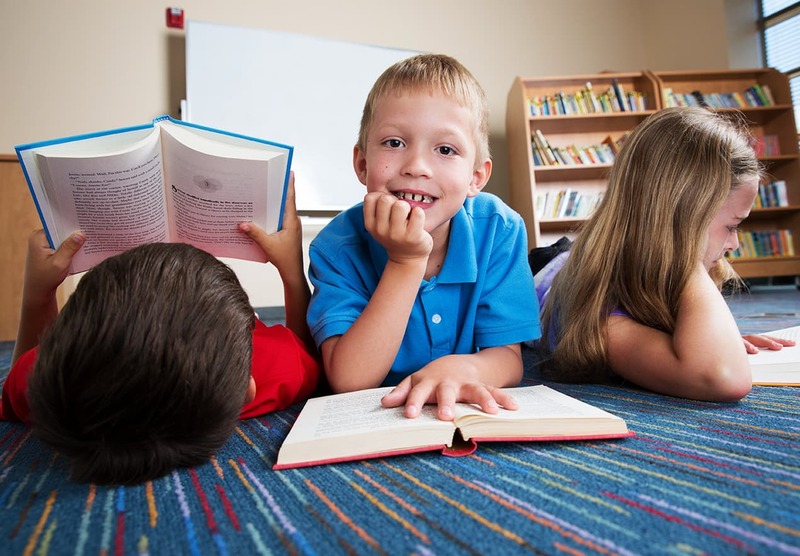 Interviews revealed that, when researching learning disability-focused schools, parents are looking for a place where their child can live a “normal” life, surrounded by students who are smart and happy, but learn a little bit differently. 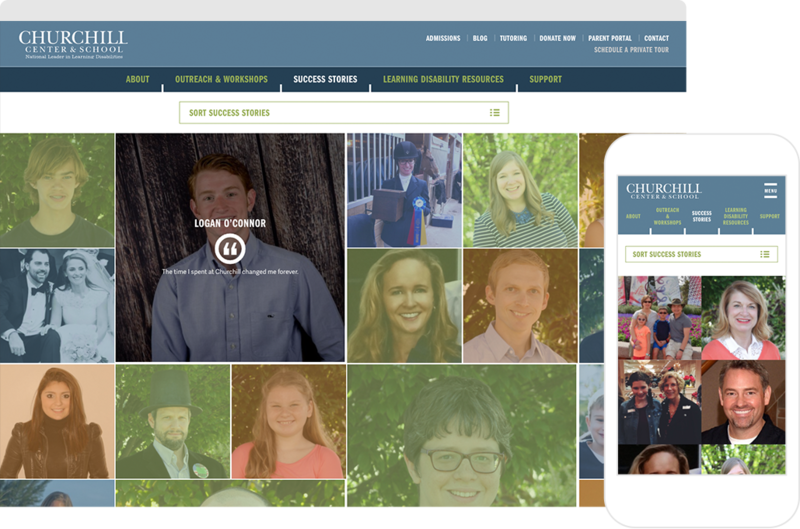 Churchill’s redesigned website is packed with bright, cheerful photography featuring smiling, successful students. 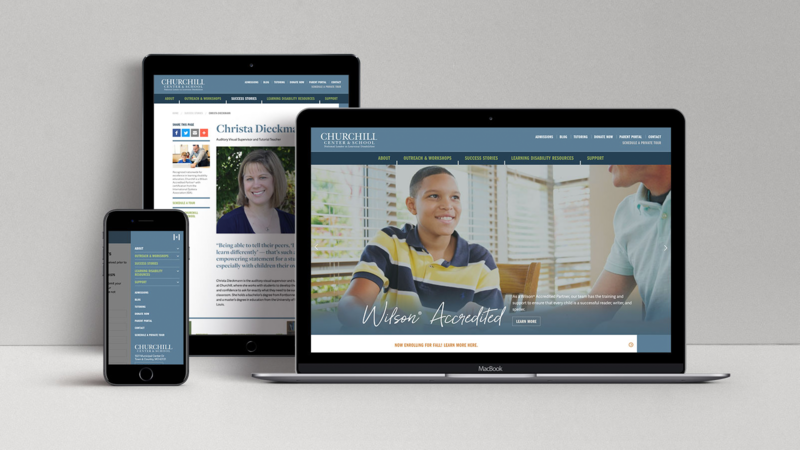 Churchill’s new site serves as an online hub of learning disability resources for parents responding to a recent diagnosis. 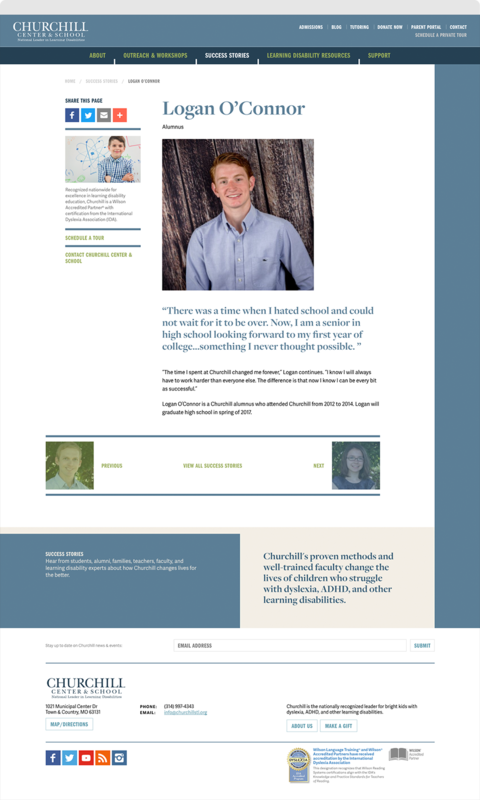 The site’s 13 Learning Disability Guides offer easy-to-understand information on ADHD, dyslexia, dysgraphia, and other learning issues with research and insights from the experts at Churchill.